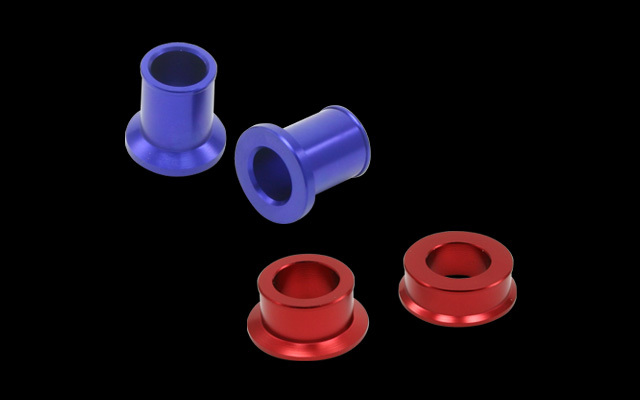 - Anodized wheel spacers, available in blue, red and orange. 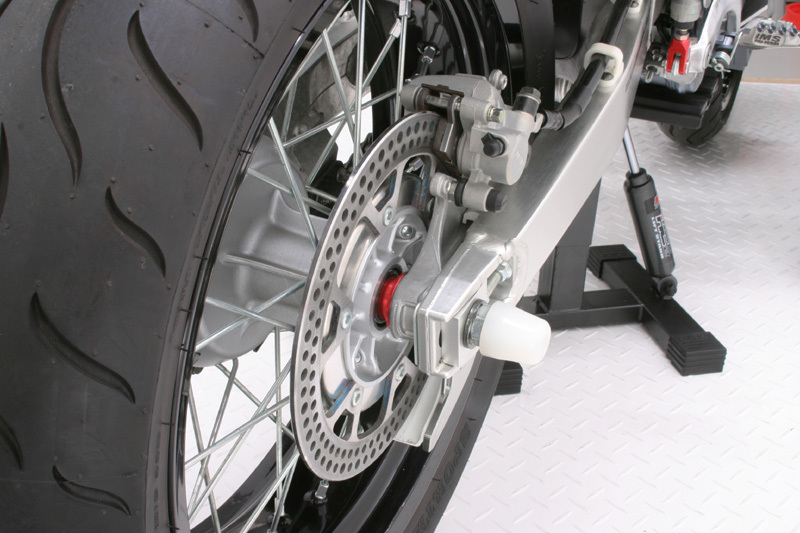 - Made of A7009 aluminum with hard anodized finish. 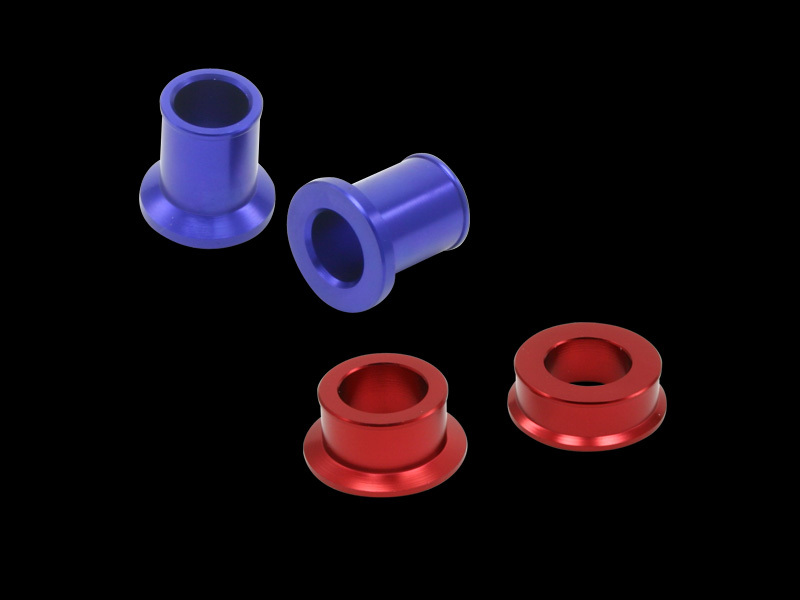 - Lighter and more durable than stock spacers. 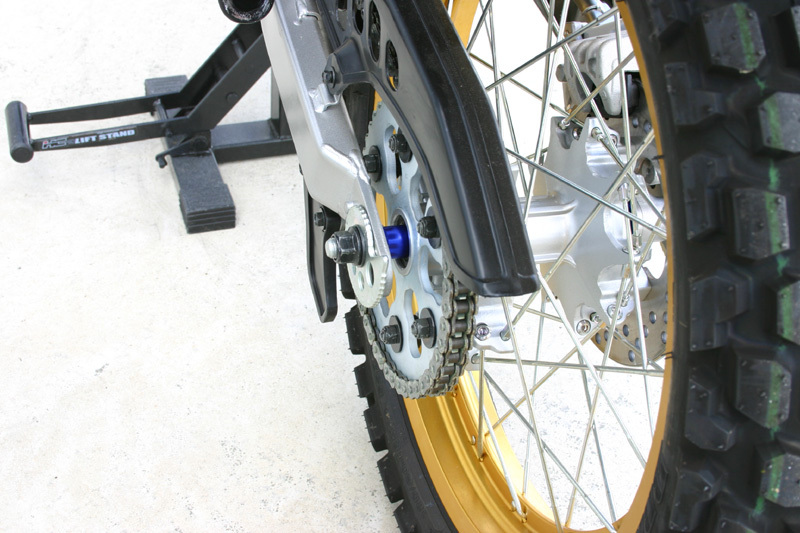 - Spacers available for MX racers, Mini-Moto and trail models. 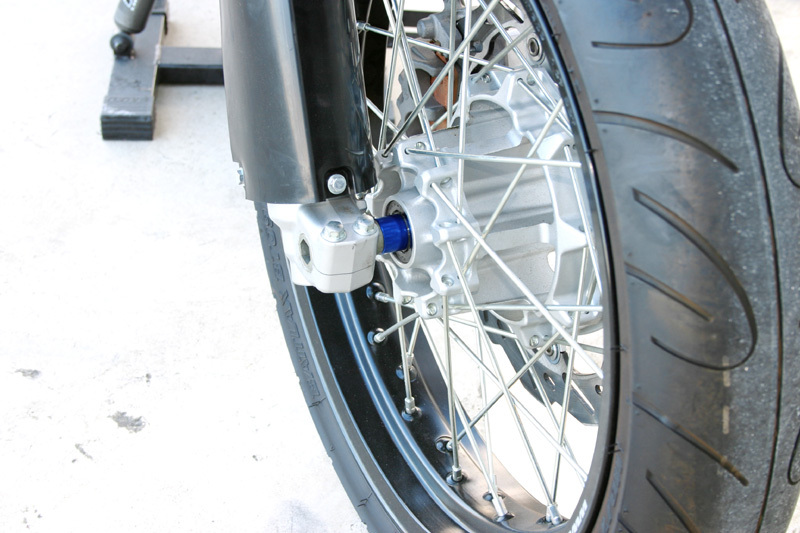 - Front and rear spacers sold separately.